Facing A Reckless Driving Or Racing Charge? Talk To us Before A Plea! In recent decades, our culture has become quite hostile to those who engage in street racing and reckless driving. Once viewed with relative indifference, most now associate racing and reckless driving with car crashes, injuries, and even death. As a result, the legislature has gradually raised the penalties for both racing and reckless driving. Anyone who is arrested for racing or reckless driving will have to fight that image and the prosecutor’s role as protector of public safety. Ultimately, a defendant arrested for reckless driving or racing may have to convince a jury that a reasonable doubt exists that they were not in fact racing another car, or driving recklessly. 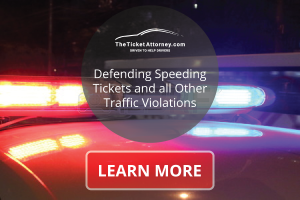 That’s easier said than done in many cases, which is why those who are arrested for racing or reckless driving should turn to an experienced attorney to defend the case. The stakes are high, as insurance companies take dim view of drivers with either of a reckless driving or a racing conviction on their driving records. The same goes for potential employers, especially employers who are considering someone for a job that requires driving a company vehicle. Also, convictions for either racing or reckless driving are a permanent part of a person’s criminal history (criminal background). Convictions can be used to enhance a future criminal charge, especially one of a similar nature as reckless driving or racing. Also, a conviction for racing results in a driver license suspension, not to mention potential fines, jail time, or burdensome terms of probation. Also considered prohibited in the racing law is a vehicle speed competition or contest, a drag race or acceleration contest, and a test of physical endurance of the operator. Reckless driving, on the other hand, is not a competition like racing. It is, generally, operating a car, truck or motorcycle with “willful and wanton” disregard for the safety of persons or property. Usually reckless driving involves some combination of extremely high speed, especially relative to the other traffic, weaving in and out of and passing other traffic, and cutting people off sufficient to cause sudden braking. It wasn’t too long ago that police would stick a street racer or a reckless driver with a ticket and send them on their way. As was mentioned above, times have changed, though, and police, judges and juries are much tougher on people than they used to be. In fact, people charged with first offense racing face up to six months in jail and a fine of about $2,000, and a one year license suspension. Reckless driving does not result in a license suspension, but it does carry up to a 30 day sentence and $200.00 fine. Do not forget that convictions for either of these will appear permanently on both a driver’s criminal record and their Texas driving record. Convictions will therefore be visible to liability insurance carriers, employers and others who have a legitimate right to view driving records. If someone is arrested for racing, and already has a racing conviction on their record, or was arrested for racing while intoxicated or with an open container in their vehicle, the charge will be upgraded to a Class A misdemeanor. A Class A misdemeanor is punishable with up to a year in jail and up to a $4,000 fine. A third conviction for racing, or a conviction for causing injury or death while racing will result in a felony charge. In this instance, a felony charge will result in at least six months of jail time, and depending on whether someone was hurt or killed, the sentence could result in several years of prison time. The maximum fine is much higher as well. Clearly, it is in someone’s best interest to avoid a conviction, and that takes some understanding of how the system works when it comes to racing. First and foremost, it is up to the state to prove that the defendant was actually racing, using the criminal law’s definition. What should be clear here is that proof of racing conviction is largely dependent on the driver’s state of mind, which is almost always a matter of circumstantial evidence unless the driver admitted racing to the officer. There may be a perfectly innocent explanation for why two or more people may appear to be racing, but actually aren’t. For example, a driver may have a friend or coworker driving alongside in order to listen for some odd mechanical noise, or to make certain diagnostic observations as they speed up together. Or, a driver may simply be in a hurry to get somewhere, and speeds next to a stranger in the lane to one side. Even if someone is truly racing when they are caught, the state still has to prove the elements of racing beyond a reasonable doubt. This is where an attorney versed in trial tactics and who can connect with a jury will make a world of difference. The burden of proof weighs heavily on the state, as it should. The driver is presumed innocent, so it is usually imprudent for the driver to testify in a trial. An attorney is familiar inside and out with the vagaries of the state’s racing and reckless driving law. An attorney who is respected and effective in trial can help sway prosecutors, juries and judges. Above all, the attorney must have the reputation of going to trial and being effective while in trial. On those cases that favor the state, a competent attorney can help a defendant avoid conviction or negotiate reduced charges. No two cases are the same, and there can never be a guarantee that a good result will always occur. Usually, racing detentions are made based on short-lived personal observations, sometimes captured on a dash cam. There is no long investigation process like you see on TV. Instead, the officer may ask a few questions in hopes of getting confession. But obviously, the officer thought t was a race just by watching and jumping to conclusions. It will look like a race and sound like a race. But many times there are other reasons that two cars look and sound like they are racing. This is why perhaps the most important thing an attorney will communicate to a jury is that the defendant must be presumed to be innocent throughout the trial and into the jury deliberation room. Explaining bedrock Constitutional rights during the jury selection process, such as how the presumption of innocence works in practice, and how it relates to the state’s the burden of proof and the right to remain silent, is perhaps the most important skill the trial lawyer must have. Even if it looked like a race and sounded like a race, the prosecution must overcome the presumption of innocence, and the burden is always on the prosecution. In a racing case, the presumption of innocence requires the jury to have the mindset at the outset that the police officer’s conclusion that a race was witnessed is erroneous. This is why a defendant never has to testify. The jury must presume the defendant’s testimony will support actual innocence. Good trial attorneys know how to prepare a jury to accept and apply these bedrock Constitutional principles in practice. If a jury does not understand them, then individual jurors will likely presume guilt instead. Unless the criminal defense lawyer adequately educates the jury members on how these principles protect us all from wrongful convictions, the attorney has done a disservice to his client. But even when a case appears hopeless for the defendant, an attorney may still be able to help blunt the worst consequences. Clever negotiating can possibly help a client avoid a conviction, and jail time. For example, sometimes it is possible to reduce a racing or reckless driving charge to simple speeding. It all depends on the particular circumstances. Street racing may seem harmless, but the law and society do not see it that way. Just as no two cases are alike, so no two lawyers are the same. The right attorney can make all the difference in the world.